Register Log In Surfer.com Forums Design Forum crazy fish! what does this do? That's a recent topic on swaylocks, and towards the end SrPato states "Here's what I did with mine to cut out that slippery/sliding feeling. Works great! The trailer fins are 2" trailers that Clyde Beatty Jr. uses on his Tigerfish. They're FCS single plugs that are really easy to install." 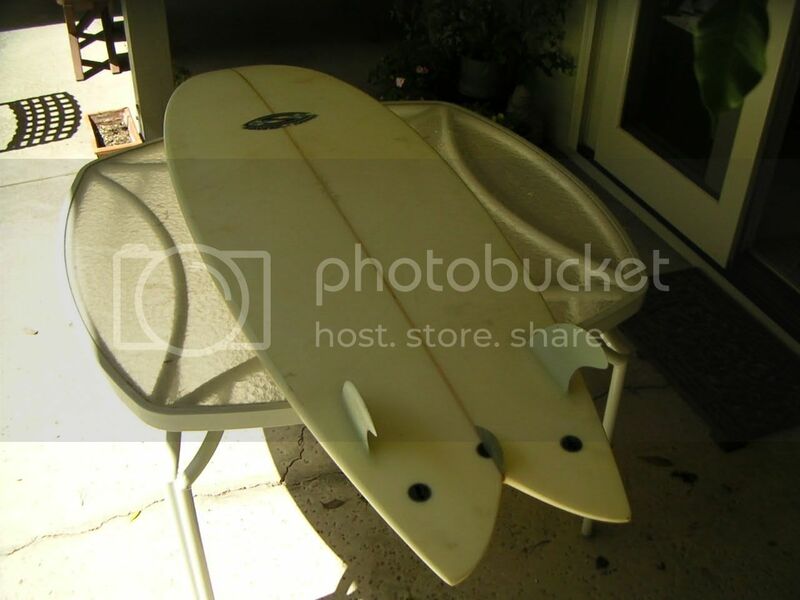 Wow...Some single fins were "bonzerified" and now we see twinnies being "twinzerified" ! ... or do they suffer from the "drill-a-hole-plant-a-plug" syndrom ?? Global Glassing! My brother works there. dont badmouth companies like that! this is my brother's board which I've been riding for a while. he added the plugs maybe 4 years ago. Haven't tried using the outter plugs to make it a a quad set up. Those look like little baby LokBoxes. JJR, dude, can I get me a set of those things? They are available through Rainbow and are called the C-5 lokboxes. We are also now making glass twinzer fins for these boxes. If you order them through Rainbow you must specify which fins you want(C-5 molded sets or glass twinzer sets). Will they fit the regular size lokboxes as well? And what's the size difference between the c-5 fins and the twinzer fins?